Interns working for the Minnesota Pollution Control Agency (PCA). 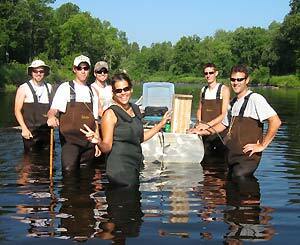 Each summer, the PCA hires student interns for biological monitoring of streams and wetlands. Students often get a job in the summer. If it’s your first job it gives you a chance to learn about work and paying tax. The tax you pay supports your home town, your state and our nation. The following are some tips students should know about summer jobs and taxes. New Employees. When you get a new job, you will need to fill out a Form W-4, Employee’s Withholding Allowance Certificate. Employers use it to figure how much federal income tax to withhold from your pay. The Withholding Calculator tool on IRS.gov can help you fill out the form. Use IRS Free File. You can prepare and e-file your tax return for free using IRS Free File, available on IRS.gov. You may not earn enough money to be required to file a federal tax return. Even if that is true, you may still want to file. For example, if your employer withheld income tax from your pay, you will have to file a return to get a tax refund. 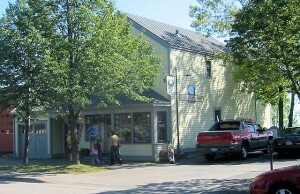 Bergetta Moe Bakery in Duluth, MN, listed on the National Register of Historic Places. On July 1, 2015, Minnesota will change to an up-front sales tax exemption on eligible capital equipment purchases. For purchases beginning July 1, 2015, you will not have to pay sales tax on any qualifying equipment. To claim the exemption on eligible purchases, businesses must give the supplier a completed Form ST3, Certificate of Exemption. That form can be found here: http://bit.ly/1BOHRpw (use exemption reason code for “Capital equipment”). Until July 1, businesses are required to pay the sales tax when purchasing eligible capital equipment, and then file a refund request with the Department of Revenue. A bakery installs a washing system to clean and sterilize baking pans and production equipment. They also purchase pressure washers used to clean the floors and walls. The washing system to clean and sterilize baking pans and production equipment qualifies as capital equipment because it affects the quality of the baked product. The pressure washers do not qualify since they are used in sup-port operations for general plant maintenance and cleaning.